Italian food lovers can rejoice: Emmy-Award winning celebrity chef Giada De Laurentiis has opened her first-ever restaurant, GIADA inside The Cromwell. 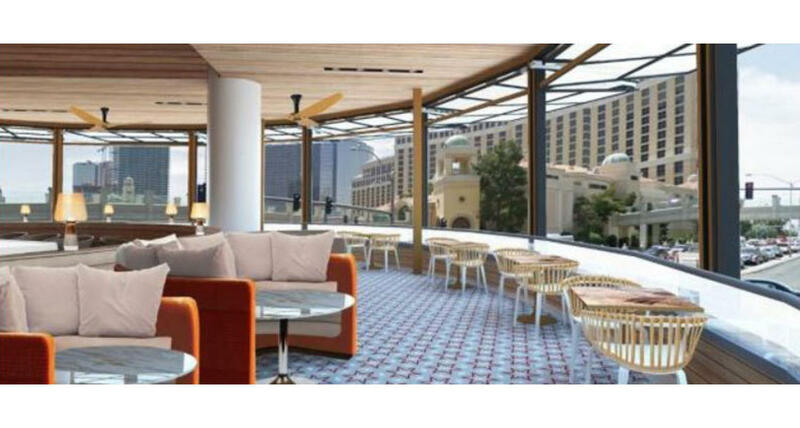 This charming Las Vegas restaurant welcomes diners with warm colors, comfortable furniture and natural lighting thanks to the restaurant’s huge retractable windows. Guests can eat in the dining room, lounge, boasting breathtaking views of the Bellagio fountains and Caesars Palace. The menu consists of Italian cuisine with refreshing, Californian influences. Menu items include lemon spaghetti, chicken cacciatore, marsala herb chicken meatballs, rosemary focaccia and lemon flatbread and vegetable Bolognese rigatoni. GIADA adds a lighter touch to her dishes, all while staying true to classic Italian recipes. Be sure to try her new breakfast menu with fresh squeezed juices and amazing dishes like the sunrise polenta waffles and salmon cake benedict. There are also family-style options, along with vegan and gluten-free choices. Desserts, like the lemon ricotta cookies and sorbets, serve as the perfect ending. Guests can watch chefs prepare fresh pasta, bread and desserts from the open kitchen. The delightful scents of freshly baked meals are sure to entice the senses. GIADA also features an antipasto station, a first for Italian eateries on the Strip. Located on The Cromwell’s second story level, GIADA seats 260 guests and offer a private dining room for large parties.